This was one of my highlights! 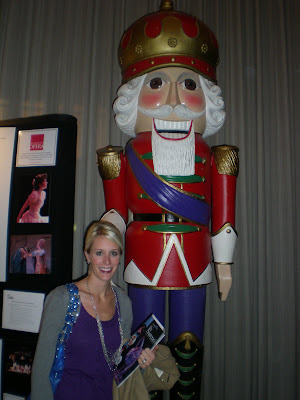 (And no I am not talking about my extremely blonde hair-but that is something to mention) I got to see The Sacramento Ballet's Nutcracker! The same one I did for over 16 years! This was Ryan's first time seeing it and he actually liked this one a lot better than the other ballets he has seen. It is because it is the best! I even got to see a few of the dancers I grew up dancing with and talk with my old directors. Such a treat for me! Afterward we ate at the best mexican restaurant around the corner...Zocalo. Definitely recommend it. Great date night. 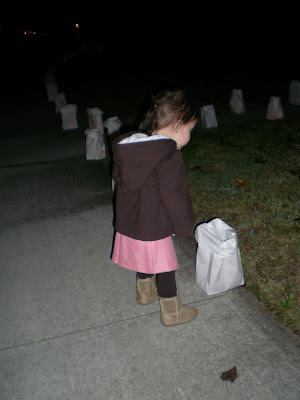 Camryn checking out the luminaries that Ryan and Grandpa set up. 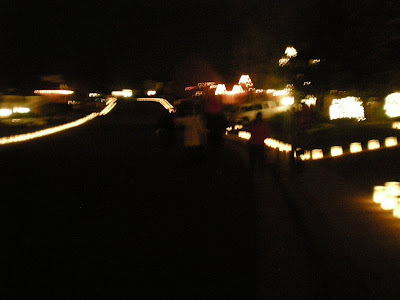 On our walk around the neighborhood to see the Luminaries on Christmas Eve. This is a horrible picture, but I wanted to show how cool it looks. My parents neighborhood does this every year. It is so neat that everyone participates. Such a great tradition. 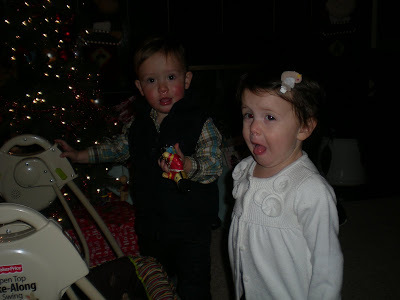 Hudson and Camryn-I tried to get a good picture of these two because they were such buddies but the only one I have is of Camryn and her "sour face." This is what she does when you say show us your sour face. She is crazy. After our walk we decided to do a little Christmas program. 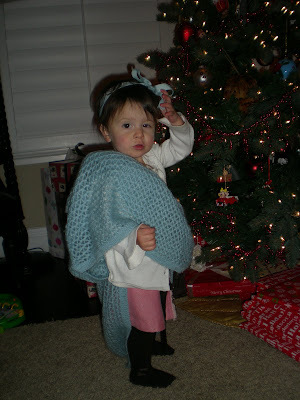 Camryn was Mary or as we called her Mary the harlot. That lasted 2 seconds. This picture is classic and with a lazy eye! Waking up Christmas morning. 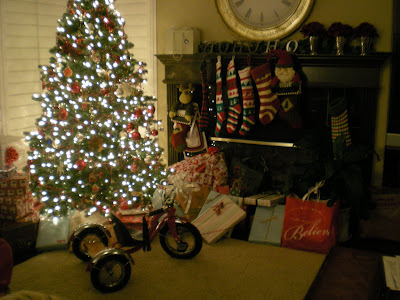 The tricycle was Hudson's present from Santa. 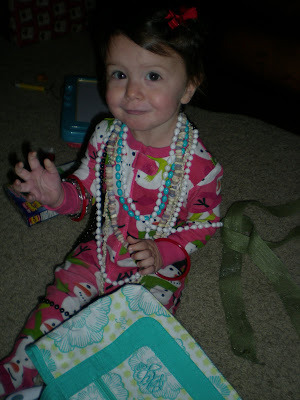 She got a purse full of necklaces from Grandma and Grandpa and a jewelry box from Mom and Dad. She was in heaven! Play time begins. This was a hot commodity among the cousins. 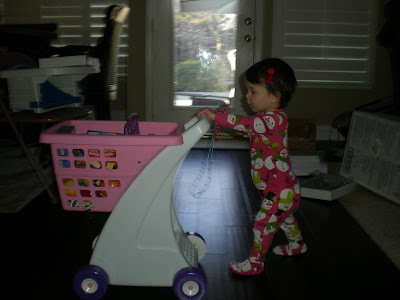 If you can't find something it is in her shopping cart. 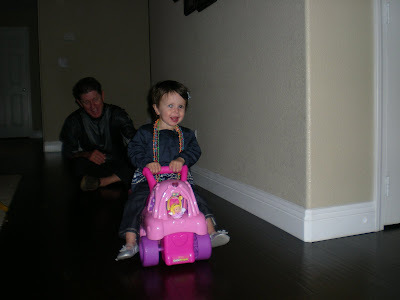 Then later on that night she got this princess car from her Great Grandma Marilyn. She has so much fun with this thing! She can't decide which one she likes best! After leaving the museum we headed back home. 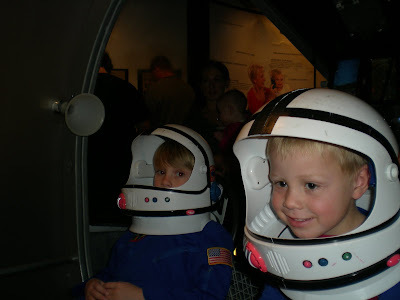 We had such a fun visit with all of the cousins and Aunt and Uncles. We got to see Carrie and Scott's new house, meet baby Georgia finally and even ate pheasant that my dad and bros hunted! I was also able to go out to dinner at Fat's with Nikki, Patrick, Carrie and Scott without the kids! (Ryan and Chris and Lins had already gone home). Such a treat! 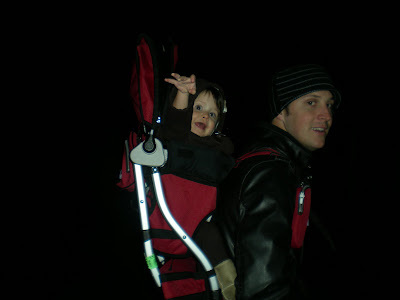 We also went up to the snow and were able to see all the kids ski and snowboard. But most of the time we just hung and talked and watched the kids play! 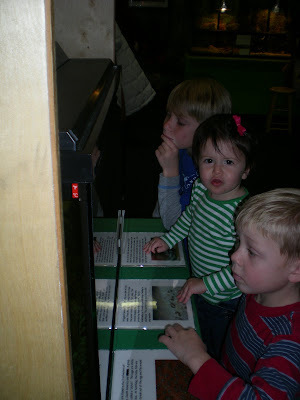 It is so fun getting the kids together. Thanks for such a great time Mom and Dad! Man! I've been waiting for this post! Yes, I thought I was over not going but now I'm back to not being over it :) Looks like you had a great time. 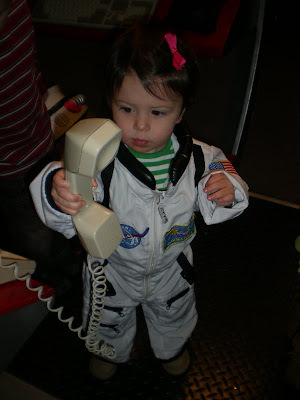 How cute is it that Camryn and Hudson were buddies. Jealous that you got to see the Nutcracker too. I still feel like it doesn't quite feel like Christmastime until I've seen it. 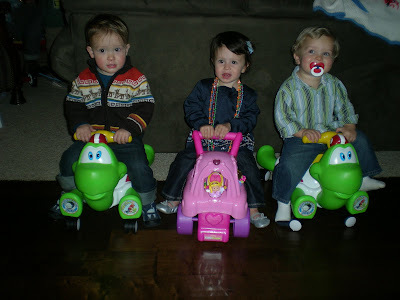 And, I didn't know about the date night you got to have with the sibs. That makes me jealous too! All of it... jealousy...but really glad you guys had a good Christmas. I too have been waiting for this post. Loved it! 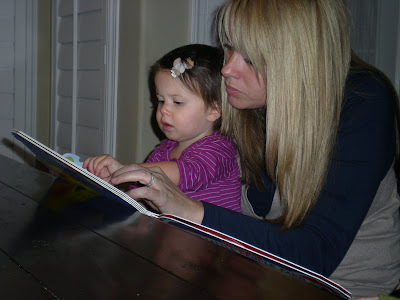 I didn't know you got so many cute pictures-how nice to capture all the fun! 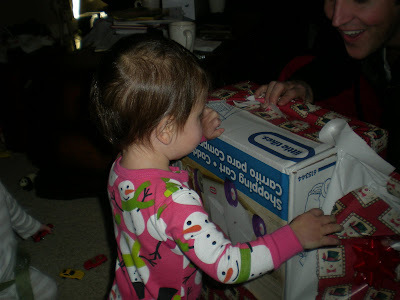 Christmas is so much fun with little kids! oops! I somehow forgot to comment! 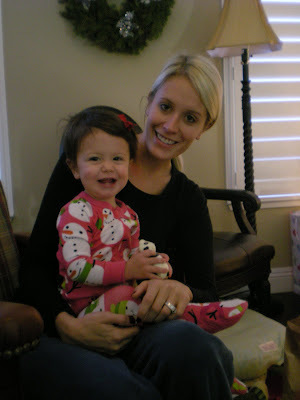 the christmas morning girl with her necklaces is just adorable. I love her genuine happiness! We loved having you guys around! Camryn is a sweetie! sooo great to see you over the break - what a fun surprise/treat that was!!! i wish camryn made the 'sour' face for me! hahah i cracked up when i saw that picture!! !